Streams naturally meander or cut back and forth. Eroding stream banks are a major source of sediment in streams. Stream bank erosion is often accelerated due to a lack of deep roots from vegetation, which holds the soil together, and by livestock grazing, which can directly cause erosion due to cattle walking on the banks. 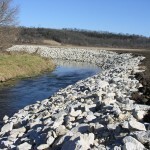 Stream bank stabilization traditionally consists of grading the slope to 2 feet horizontal to 1 foot vertical and then armoring the bank with riprap (various sized rocks). 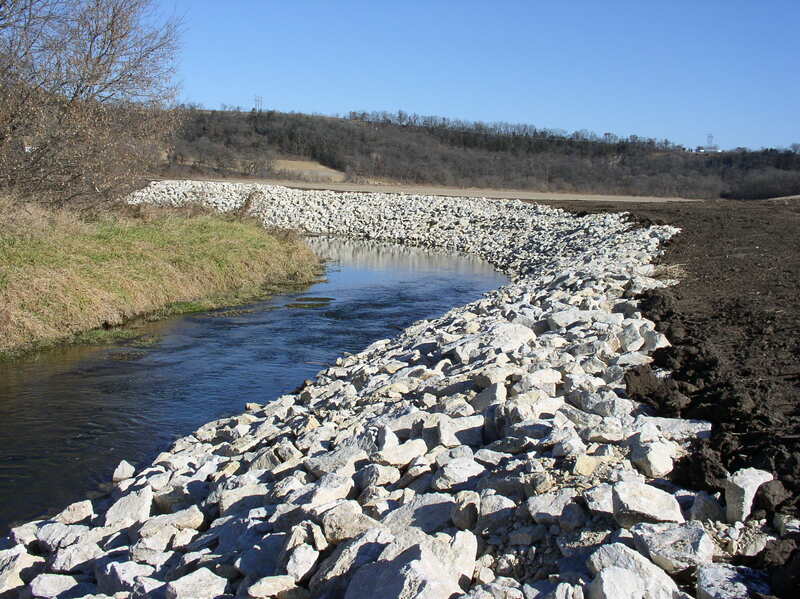 This process improves water quality by reducing stream bank erosion and sedimentation into streams and also improves habitat for terrestrial and aquatic life.